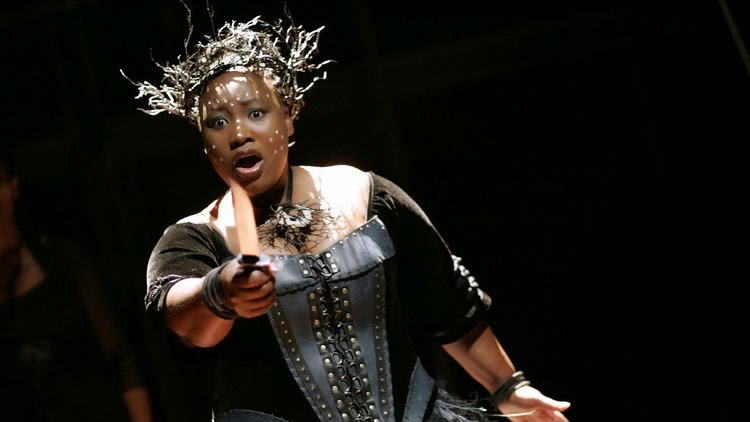 "The Magic Flute" has received numerous modern and nontraditional interpretations over the years, but few have been as radical as the staging by South Africa's Isango Ensemble, which has given Mozart's opera of sorcery and romance a new spin with indigenous costumes and marimbas in place of an orchestra. The idea for the staging came from an unlikely source, according to Mark Dornford-May, the co-founder of Isango and the director of the production. Mhlekazi Andy Mosiea in "The Magic Flute." "It came from a 9-year-old boy," he recalled in a recent phone interview from South Africa. "He was watching another [of our] shows and said that we should do 'The Magic Flute.' I sort of laughed." But the more the director thought of it, the more it made sense. In many ways, he said, the opera is "peculiarly South African" in its themes of people moving toward redemption, forgiveness and going through struggle to achieve peace. Isango's production, which is touring the U.S. this fall and is scheduled to run Oct. 8 to 12 at the Broad Stage in Santa Monica, isn't an overtly political interpretation.